Last week, coal power peaked at 5.7 GW, and it has already gone higher this week, reaching 6.4 GW yesterday. It has certainly not been particularly cold today, or windless. In addition CCGT is running at close to capacity. It is worth looking at the current position regarding the amount of coal power capacity we have. With Eggborough now being decommissioned, following its loss of the Capacity Market contract for this winter, we are down to 11.6 GW. It looks as if we are going to need most of this at peak periods in the next few months. Bear in mind as well that these are all nameplate capacities, which cannot be guaranteed to be on stream all of the time. The Capacity Market auction assumes a de-rating of 85% – in other words, if capacity is 1000 MW, the auction assumes only 850 MW will be available at any one time. All of the six plants listed above have Capacity Market contracts for this winter. However, the ECJ has ruled that such payments are illegal, putting the whole system in jeopardy. This will not affect capacity this winter, as it is too late for the industry to do anything about it. 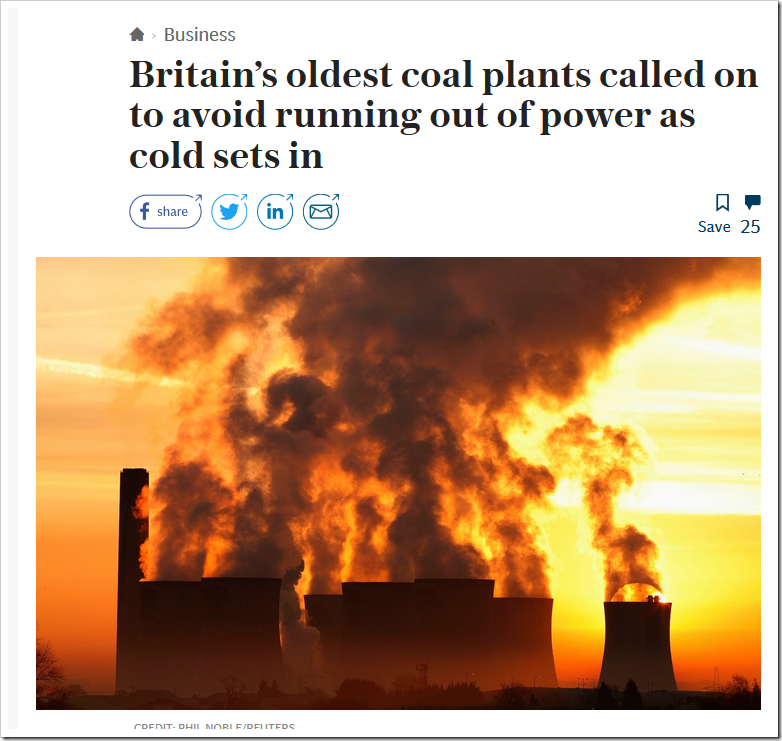 It does however throw into doubt the viability of coal power stations next winter and beyond. We have already seen that the loss of the contract at Eggborough has caused it to shut. A Capacity Market contract there would have been worth in the region of £30m, about half the value of their sales. The ECJ has thrown the matter back into the hands of the EU Commission, so Capacity Market payments may well be reinstated. But unless they sort themselves out pretty quickly, coal plant owners may well vote with their feet. Without standby payments, no coal power station can possibly make money running at just 6% of capacity. 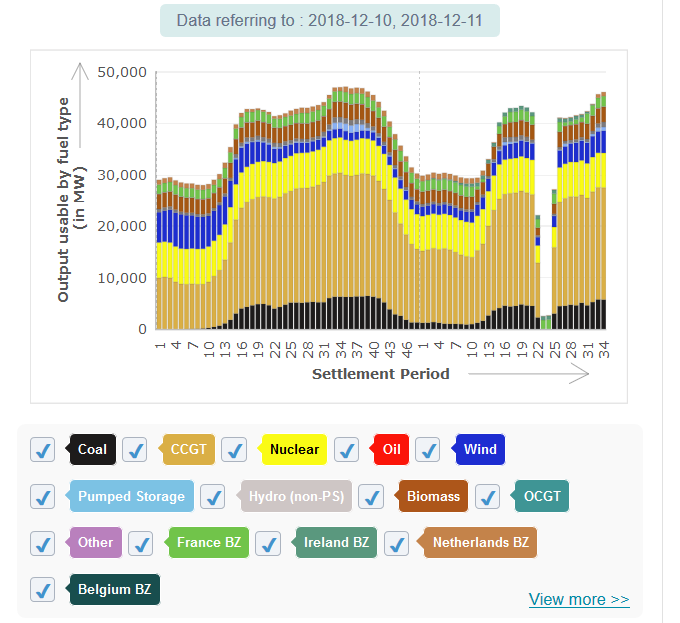 With little in the way of new CCGT capacity due on stream in the next few years, we had better hope that coal power hangs around a bit longer.